Especially if you are a homeowner and a gardener who loves to tend to their home in terms of plants, flowers, and even curb appeal, then perhaps you might be interested in sprucing up your place with some decorative stones. 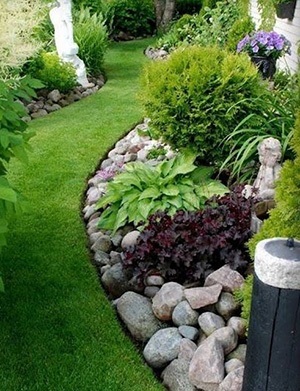 In essence, these particular stones are used to cover walkways, decorate flower beds, and otherwise bring some extra character to your otherwise already-wonderful home. That being said, you might not have any idea of what kind of decorative stones there are out there, and so you might be lost in terms of looking for the best one to do so. In any case, we are here to help! 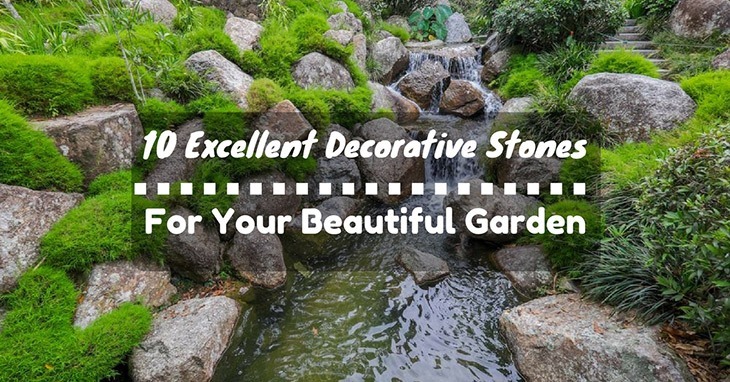 Read on to learn more in this article on the best decorative stones out there for your home and garden, and soon enough, you will be ready to start decorating your place with wonderful results! As a type of sandstone, this particular decorative stone is often used in the United States. Specifically, it is a Triassic-Jurassic sandstone, and is great for using for townhouses to give off that old-fashioned, sturdy structure to it, which benefits it greatly. It has also been used to construct stone mills and mill houses, especially those located in the East Coast of the United States. This specific stone is actual a sedimentary rock, made from skeletal fragments of marine organisms, including coral, mollusks, and other spiny creatures. It comprises of calcium carbonate and calcite, all the while being extremely durable and long-lasting for building projects. However, limestone can be quite heavy to manage when constructing your garden’s topography, not to forget being a bit on the expensive side. You will also need to be careful when cutting through it, for its fumes and particles emitted from it can cause problems with your body should you inhale too much of it. In any case, though, limestone is a solid, elegant decorative stone to consider for your next project. 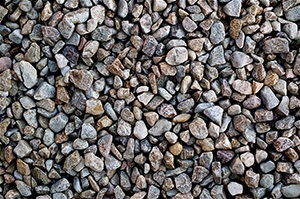 Granular in texture, granite is an igneous rock that is both hard and tough, high in density and often works well with constructing heavy-duty objects that can last a long time. It has been used to build monuments, memorials, buildings, and even statues which can be great additions to your home’s backyard. 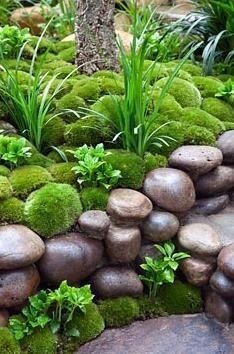 Another great idea for granite is to use it either as a centerpiece for the inside of your home to give it that rugged, natural look, or you can even use it as a mini-rock climbing terrain, should the size of your backyard permit it. Considering that granite not only holds up well, but has small cracks and crevices perfect for keeping you stable whilst performing the rock-climbing action, it is worth a shot to install it within the comforts of your home. Besides, it beats having to go to the gym every day to use it! Made from recrystallized carbonate material, this special metamorphic rock is commonly used to make statues and also for building monuments and temples, especially that of the Taj Mahal in India. What makes marble even more distinctive is that it comes in over ten different varieties from all stretches of the world, from Greece to India to the United States. 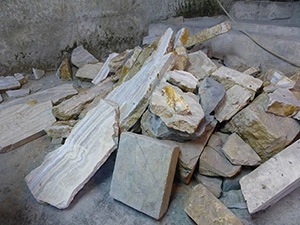 Types such as Creole marble, Swedish green marble, and yule marble contribute to the rich and diverse aspect of this one particular decorative stone itself, and can make your garden or home look smooth and elegant. Just like sand itself, the color ranges from all sorts of shades, from tan to black and even grey to pink! It is porous and is used for building all sorts of items, including buildings themselves, statues, and even china cups. It is extremely durable, for it is resistant to weathering and any other forces that can possibly get in the way of its sturdiness. Really, sandstone is a good decorative stone to consider for your home and garden. While also excellent for building houses, slate is especially well-known for use on roof tiles; they are also great for stairs and walkways inside of the house. Sometimes, they are even used for tombstones. In any case, slate is a solid, versatile stone for you to check out! Soft, white, and porous, chalk is a form of limestone usually found by the ocean, especially evident on the cliffs on which it rests. It is heavily resistant to weathering, considering that the chalk-white cliffs commonly found in Western Europe have stayed virtually not weathered over centuries after centuries, millennia after millennia. Function-wise, chalk is good at raising pH levels for agricultural reasons, along with being used for cleaning and polishing items at home. There are many possibilities to using chalk as a decorative stone in your home, so it is not a bad idea to find out its properties. In essence, flint is a very solid cryptocrystalline version of quartz, a certain kind of mineral. It is often embedded into chalk and limestone, and it gives off a sort of transparent, glassy feel to it. At first, you might not realize that it is a stone based on its appearance, but rest assured that it is. Throughout the course of history, flint has been used to be tools, since when it breaks off, it becomes rather sharp and jagged, which is perfect for sharpening the edges of weapons or other items when making something. They have also been used to ignite gunpowder, since when it strikes, it creates a sort of match with fire to fuel it up to go off. For the home and garden, flint can be used to make statues, jewelry, and ceramics, all of which can make for a lovely addition to the inside or outside of your home. After all, it is worth a shot at trying! As a form of the oxide material chalcedony, onyx is usually seen in its dark, black form, but surprisingly can also range in colors such as purple to white. Appearance-wise, it is banded, so it creates a kind of swirling effect which is distinctive, even attractive for decoration purposes. Onyx has been used for handcrafted jewelry, along with miniature sculptures and other little decorative projects. For the home and garden, it can be especially useful for accessorizing and otherwise spicing up the old drab and mundaneness of the area, with the colorfully-patterned onyx stone. 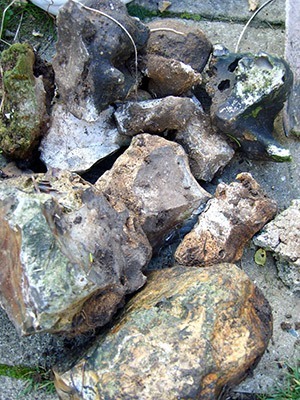 This specific kind of limestone is commonly found in mineral springs or hot springs. 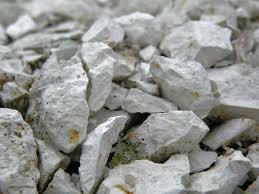 It has a white, cream-colored appearance and is a sedimentary rock. It is a popular building material and has been used on sites such as the Sacre Coeur in Paris and the Getty Museum in Los Angeles. Travertine is great for paving patios and garden paths, along with tiled floors, so it is a good one to consider the next time you are thinking about sprucing up your home! Overall, there are a hefty variety of decorative stones for everyone out there, from limestone to slate to granite. 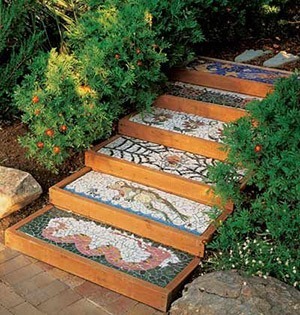 What you do with them is up to you, for they can be used as tiles, paved garden paths, or accessories in themselves. That said, go ahead, and give them a try! Daisy Taylor is a blogger at TheOneSunflower.com. I would try my hand at gardening. After many years of gardening at home. I have decided to share my passion with the world by starting this blog. I hope to give advice on all matters related to home gardening ..... Read more about Me here. TheOneSunflower.com is a participant in the Amazon Services LLC Associates Program, an affiliate advertising program designed to provide a means for sites to earn advertising fees by advertising and linking to Amazon.com. Additionally, TheOneSunflower.com participates in various other affiliate programs, and we sometimes get a commission through purchases made through our links.